Marisolio Tasting Bar is located on Main Street, in Murphys, California. You will find our store front across from the DEA Bathroom Machineries and the Historic Murphys Hotel. 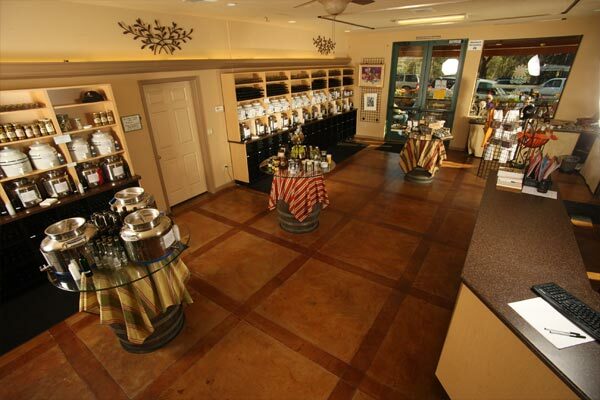 We are a unique and special concept where our customers have the opportunity to experience the finest award-winning 100% Extra Virgin Olive Oils, whole fruit and herb fused olive oils, and balsamic vinegars from select artisans around the world. Not all olive oils and condimentos are equal. Learn why our products keep peole comng back for more. From High School Teacher to Rancher to Store Owner, Mary Schuster has always dreamed of being an entrepreneur. Marisolio Tasting Bar is the culmination of that dream.